We have for sale a nice Jeep Wrangler. We back it up with a 6 month 7500 mile powertrain Warranty. We have been in business for 40 plus years and are AMERICAN OWNED AND OPERATED. We are told that we are one of the last dealerships that does the DMV work on site and does not charge you a processing fee. 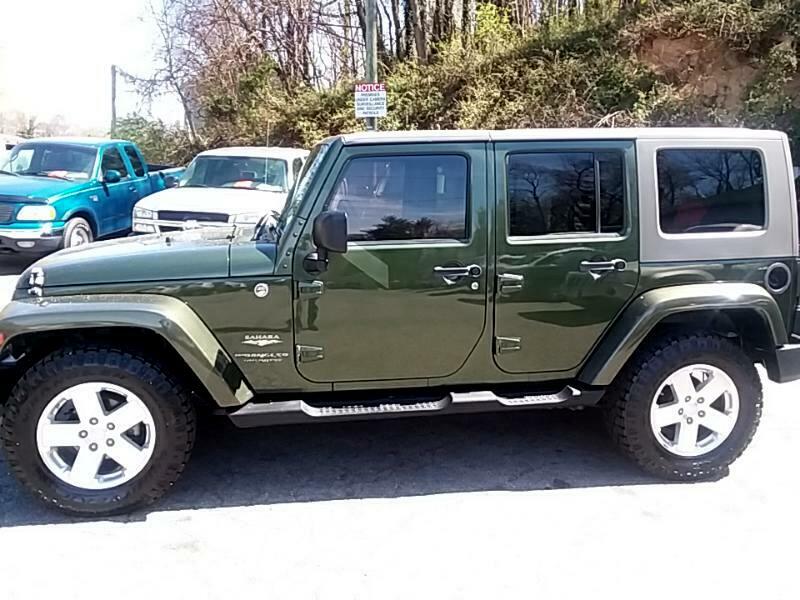 This save you both time and money.Available in a variety of trims, including the X, the Sahara, the Rubicon, the Unlimited X, the Unlimited Sahara and the Unlimited Rubicon (with either two or four doors), the 2008 Jeep Wrangler still reigns as the ultimate off-road vehicle. Equipped with a Base 205 horsepower 3.8-liter gas-powered V6 with a 6-speed manual transmission, each of the Wrangler models come equipped with 4WD as standard (a given when it comes to serious off-roading). With passenger capacity for up to four, the Wrangler features driver and passenger-side airbags and traction control.